Deep pool in the background. Home to the dolphin "pod". 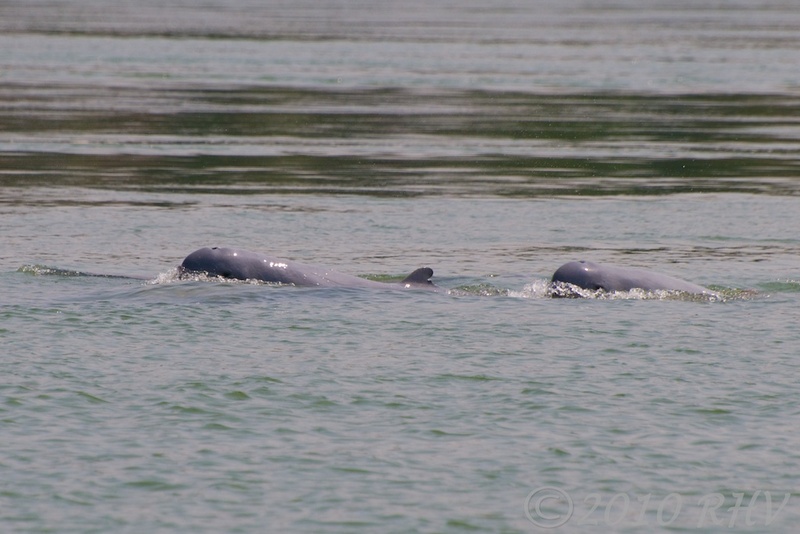 Just outside Kratie, Cambodia, on the Mekong River is a very deep pool of water that is home to a “pod” of Irawaddy Dolphins. 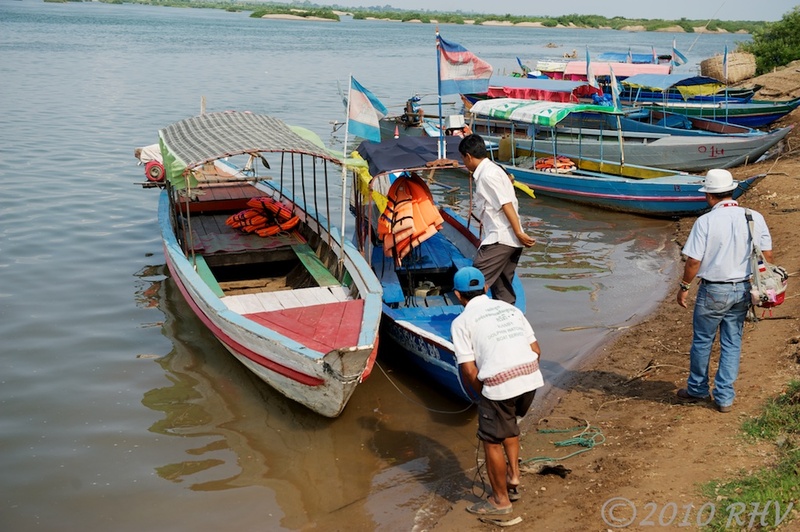 There are a couple dozen of these very rare dolphins that used to number in the hundreds before the Khmer Rouge decades back slaughtered most of them. The dolphin is not considered an endangered species as there are several thousand in Bangladesh although their numbers in Southeast Asia are very small. 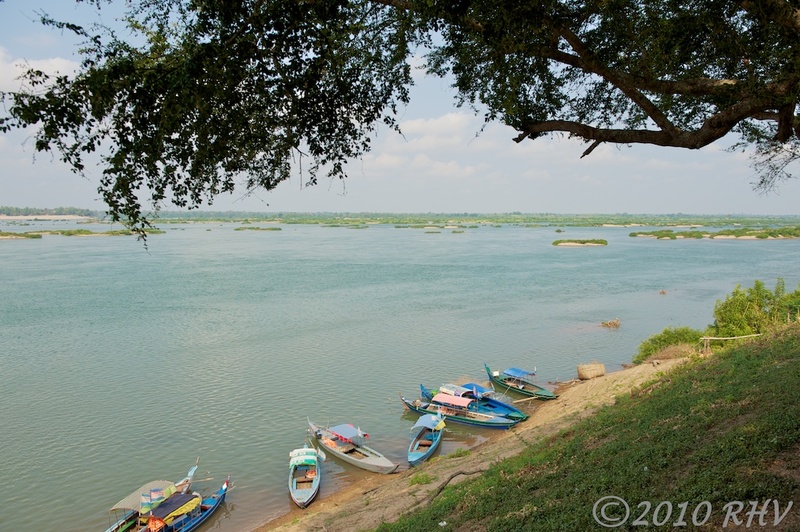 There is also a small pod in Laos on the Mekong just above the border crossing. These dolphins are very shy and difficult to photograph. Combine that with a rocking boat in the river current and it makes for trying conditions. The dolphins live in this deep pool, perhaps 800 meters deep. Its depth allows the mammals to adjust to the changing temperature of the water throughout the year. And because the pool is downstream from very shallow water, food is ample. 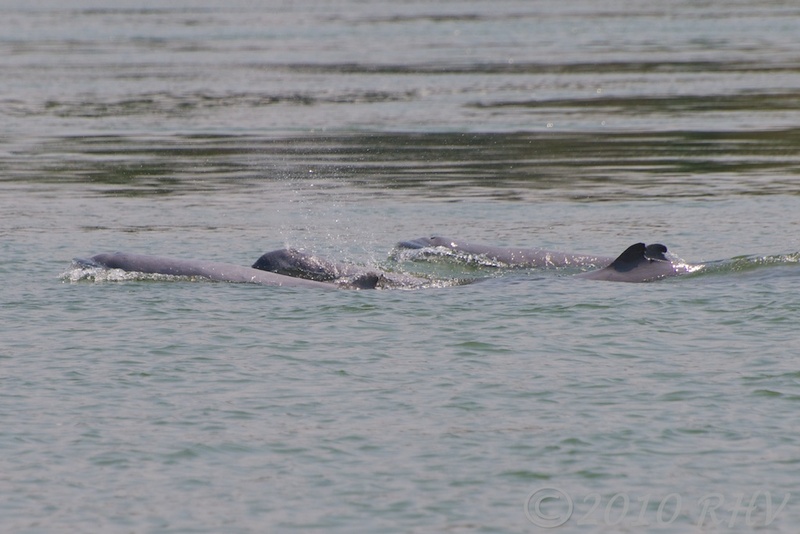 The river guides are attuned to the comfort of the dolphins so that they maintain a distance of 50-100 meters. And the guides drift with the current, again to not frighten the dolphins. All photos were taken with a Nikon D700 and Nikkor AFS 24-70mm f/2.8 zoom lens or Nikon D300s and Nikkor AFS 70-300mm f/4.5-5.6 VR zoom lens. « A worthwhile visit, a rural school in Cambodia. Part 2. I like youre pictures. Lokks like you have travelled a lot. Keep the good work going. Thanks. And Holland is one of my favorite places although I haven’t been there in years. 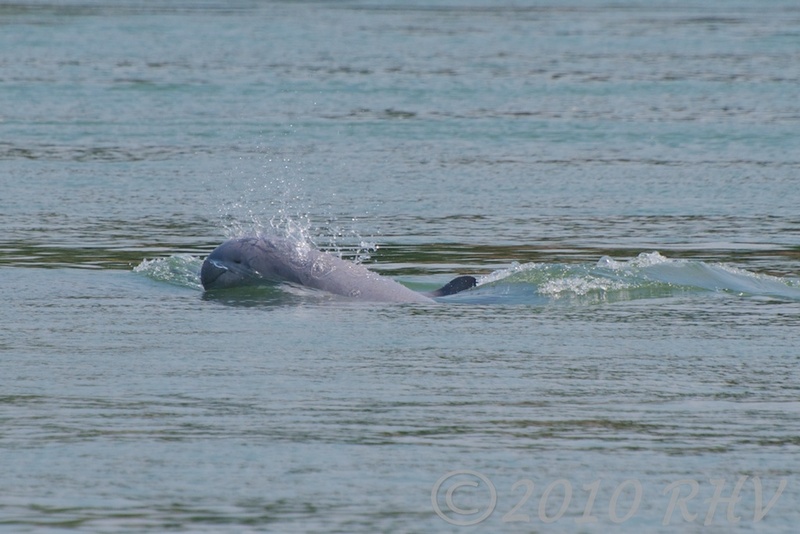 Great dolphin pictures, it seems like you know very well about Mekong River. Thanks for sharing!